On April 30, 2016 the State Theatre Benefit Gala, featuring comedian Martin Short, raised $574,839 for the not-for-profit performing arts center. Proceeds from the Benefit Gala support the State Theatre’s acclaimed artistic and educational programs. 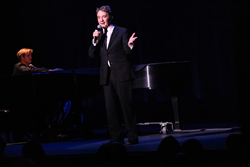 This year’s gala featured a performance by comedian Martin Short. Short performed his hilarious variety show, dressing up as some of his most memorable characters including Ed Grimley and Jiminy Glick. In costume as Glick, Short’s featured guest for an interview segment was New Brunswick Mayor Jim Cahill who received lots of applause for holding his own with the legendary comedian. The State Theatre Benefit Gala 2016 recognized three honorees this year—Corporate honoree, Aon Hewitt; Patron honorees, Joan and Robert Campbell; and Leadership in the Arts honoree, Greater Media New Jersey. “Joan and I were extremely honored to receive this recognition, especially knowing the outstanding recipients who have preceded us over the years,” said honoree Robert Campbell. More than 400 patrons attended the Black-Tie Dinner Dance at New Brunswick’s The Heldrich Hotel. Among the attendees were community, arts, business, and civic leaders from central New Jersey and around the state. In addition to the concert, Gala festivities included a dinner reception, a silent auction with almost 70 items, open bars, dessert bars, dancing, and live music. The State Theatre Benefit Gala 2016 committee included (Gala Co-Chair) Brent Podlogar of Flemington; (Trustee/Gala Co-Chair) Susan Podlogar of Flemington; (Trustee/Gala Vice-Chair) Jacqueline Hancock-Pena of Perth Amboy; (Vice Chair/Gala Vice-Chair) Scott Fergang of Ramsey; Dee Abedradoh of Kendall Park; Lisa Berlin of Highland Park; Madiha Boraie of Milltown; Cathy Gombas of East Brunswick; Eileen Harkins of New Brunswick; Dan Henrickson of Yardley, PA; (Trustee) Bill Herman of Clifton; David and Carolyn Horn of Skillman; Ernie W. Knewitz of Millburn; Curt Lang of Flemington; (Trustee) Andrew J. Markey of Basking Ridge; (Trustee) Richard T. McDonald of Millstone Township; Mary Ellen Morris of Somerset; Karen Needham of Hillsborough; Linda Piscadlo of Somerset; John Reissner of Tinton Falls; Maggie Stavrianidis of Somerset; (Trustee) Peter Stavrianidis of Somerset; and Jennifer Zimmer of Edison. The Emerald Gala Sponsors included: Aon Hewitt, Joan and Robert Campbell, Greater Media New Jersey, and Johnson & Johnson. Platinum Partners included: American Benefits Consulting, An Alliant Insurance Services Company and Russell and Stephanie Deyo. Gold Partners included: Aetna, BALLARD SPAHR LLP, Boost Rewards, EY, Bill Herman, Horizon Blue Cross Blue Shield of New Jersey, Investors Bank, KPMG LLP, Magyar Bank, Mercer, MetLife, Pacific Resources Benefits Advisors, LLC, Prudential, Saint Peter’s Healthcare System, Trion Group, Willis Towers Watson PLC, and Xerox HR Solutions. 732-247-7200, ext. 542 or by email at kblithe(at)StateTheatreNJ(dot)org. 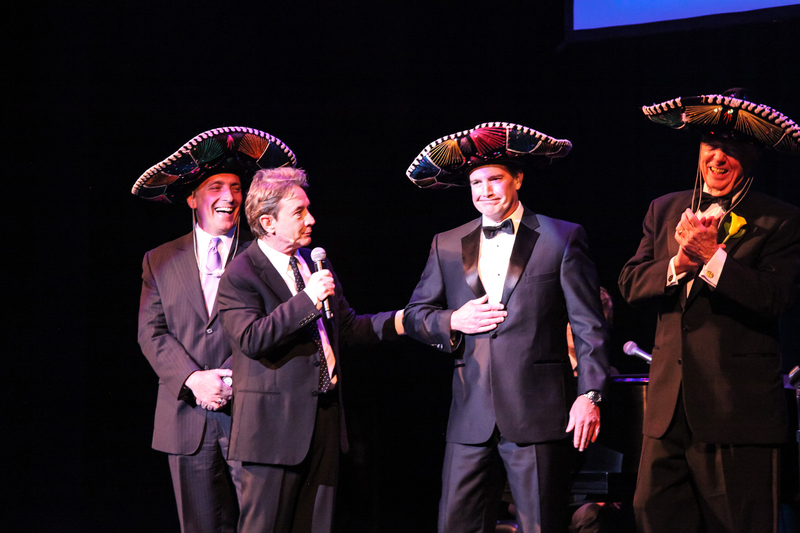 From left to right: Michael Antoniades, President & CEO at Robert Wood Johnson University Hospital; Martin Short; Gala patron Michael Harvey; and State Theatre Patron Honoree Robert Campbell.From left to right: Michael Antoniades, President & CEO at Robert Wood Johnson University Hospital; Martin Short; Gala patron Michael Harvey; and State Theatre Patron Honoree Robert Campbell. Photo by Mary Brown.